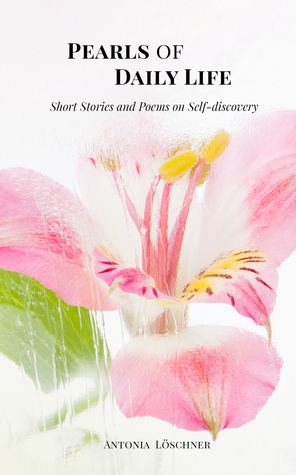 Pearls of Daily Life by Antonia Loschner is a collection of short stories and poems which “invite a journey of discovery”. The book explores daily lives of people doing ordinary routine things and finding out little things about themselves. It offers exactly what is promises- wisdom in daily life. A journey of self-discovery in small incidents of life. The book takes on seemingly mundane yet interesting themes- a walk in the garden, a train ride, standing up for your co-passengers, children playing in the garden. The book came as a breath of fresh air. I was afraid it was going to be like those preachy self-help novel espousing hard routines or sermons to discover yourself. But as soon as I read the first poem- Creativity, I knew I was in for something different. You need not trek the Himalayas to discover yourself, you could very well be taking a walk and surprise yourself. You just need to be a little aware. Another thing that I liked about the book is how often the author talked mental illness. Mental Illness is a grim reality of today and it has affected so many people around us. But it also true it is also one of the most tabooed subjects to talk about. In a nutshell, pick up this book if you want to read something light, breezy and inspiring. PS: I received a copy of this book from the author in exchange for an honest and unbiased review. ← Book Blogger Hop #1: Why Readathons are not my Cup of Tea?